Japanese premium diaper maker Moony said it’s teaming up with Tmall, Alibaba’s B2C shopping site, to offer mothers shopping at a mall in Hangzhou a relaxing, hassle-free and high-tech space where they can nurse their babies. The laction room at the West Intime Shopping Mall in Hangzhou City will undergo renovation this month, and by the end of February, the new-and-improved nursing room will be available to the public. 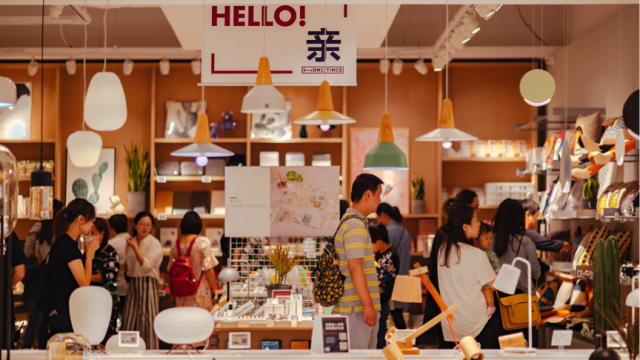 To make public venues more baby-friendly, Tmall has been working with international brands to upgrade lactation rooms with Alibaba’s latest New Retail technology. The facilities are equipped with voice-assistant smart speaker, Tmall Genie, to control the curtains, music and lighting, as well as other connected devices in the room, like baby-formula mixers, humidifiers and air purifiers. Other features include the “Cloud Shelf,” a digital screen that allows customers to virtually browse and buy products, and vending machines offering small packets of products, such as infant milk powder, diapers and wet tissues to lighten the load for parents out shopping. A customer shops for baby formula powder on the Cloud Shelf in a Smart Nursery, jointly operated by Tmall and Wyeth, at the First Department Store in Shanghai. Reworking nurseries into platforms that is can be used by companies to communicate brand messages and draw in new customers, and babycare brands have been quick to spot the opportunity. Moony is the the first diaper brand to join the new Smart Mothers’ Room initiative, joining existing partners Wyeth, Mead Johnson, Frisco, Danone and Abbott, each with their own co-branded smart nurseries in the works. Signing on to the program means brands can add their own twist to their co-branded Smart Nursery. “Babies need different-sized diapers as they grow. So, in our smart nursery, consumers can find diapers that best meet their needs for all stages of growth. Through this, we want to express that we put babies first. It’s not just about the products. We want to offer useful information about raising children,” said Yasuaki Aoyama, cross-border business manager at Moony. Daiyo Masayuki (center), a board member of Moony’s parent company Unicharm, announces the official partnership with Tmall executives Alvin Liu and Hong Du in Hangzhou. TheSmart Mothers’ Room project caters to partner Wyeth’s needs in a very specific situation and helps the company attract new customers, said its Director of Client Development for China Yi Yuan. “Tmall has always been a prime ground for branding for us, and we are more than willing to explore New Retail with them. For brands, there is no conflict between online and offline. Where the consumers are, that’s where we should be going,” said Yuan. 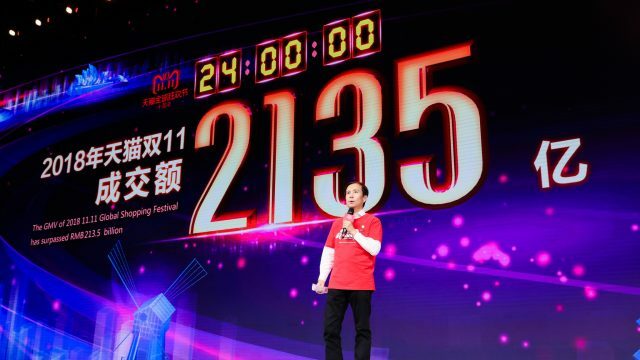 In November last year, Tmall unveiled its first smart mothers’ room at an Intime shopping mall in Beijing. The Alibaba-backed department store chain said it plans to extend the model to all of its 51 properties nationwide. 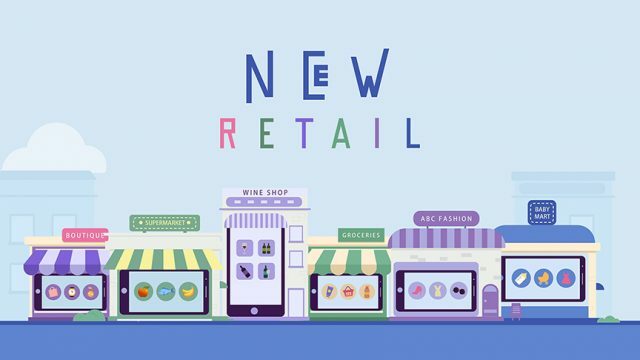 Currently operating six smart mothers’ rooms in top tier cities including Beijing and Shanghai, Tmall said it plans to open 1,000 smart nurseries across the country in the next two years, eventually expanding the model to shopping malls like Intime, as well as other public venues like supermarkets, hotels, airports or train stations. 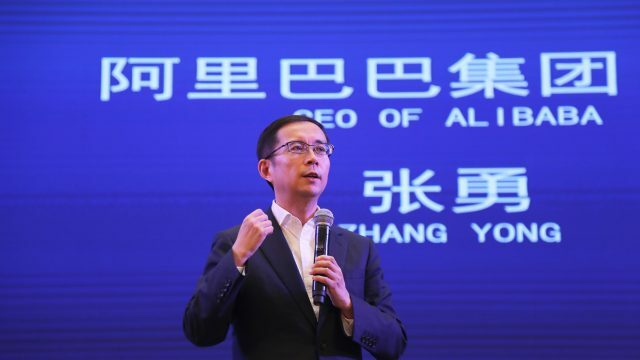 In the future, it will introduce facial-recognition technology and exclusive member benefits, said Alvin Liu, general manager of the Import and Export division at Tmall. Take a tour of a Smart Mothers’ Room in Shanghai. A 2016 report released by Ipsos pointed to significant growth of the number of “post-90s” new mothers. Those born after the 1990s constitute the majority of China’s new mothers, at 46 percent, followed by mothers born between 1985 and 1989, at 41 percent. “[Tmall] users are getting younger. Our data shows sixty percent of maternal-infant shoppers were born after 1990. Quality of life is important to this new crowd,” said Liu, adding that the Smart Mothers’ Room initiative hopes to raise awareness of and help improve the experience of mothers, who often find themselves in awkward situations when they need to breastfeed in public areas. Truly giving parents and babies a better experience calls for a sustained program to transform public spaces, as opposed to temporary pop-up campaigns, said Hong Du, who heads the mom and babycare unit at Tmall.